Fable II may be the ultimate “sandbox” game and is definitely a contender for Game of the Year, thanks to the varied and almost open-ended gameplay that has been created by Lionhead Studios. Although the original game of the Series, Fable was quite revolutionary for the day, it did suffer from some harsh criticism from players and critics, however Fable II is a more polished experience that truly revolutionizes the sandbox experience. Choices, consequences The innovative gameplay pioneered in the original “Fable” provided gamers with a never-before-seen level of immersion in a truly interactive world. “Fable 2” expands on the scope and depth of the Xbox® classic with incredible new features and a wider, more complex kingdom of limitless choices and consequences. Players will have the option to play as a man or woman, get married, have children, and live a life of their own design. A land far, far away. Revisit the sprawling world of Albion, where every house, hut, dungeon and castle is for sale, more than 500 years after the events of the original “Fable.” Players will witness how the world has grown and changed in incredible and unique ways as they rediscover Albion. 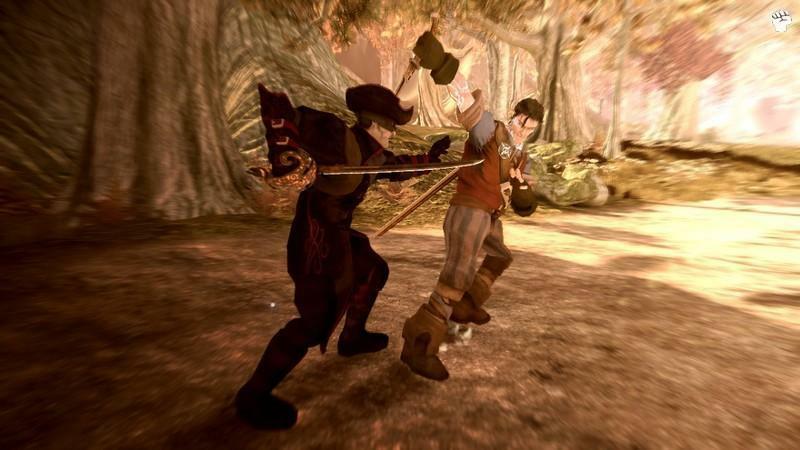 New and unique combat system “Fable 2” pioneers a new combat system that is designed to allow players to truly master hand weapons such as swords and maces, ranged combat such as bows and guns, and an entirely new magic system. These three disciplines, while being very accessible, are also amazingly deep and allow players to mix combat styles and become everything from a master swordsman or skilled ranger to an evil magic-wielder. A hero's best friend. This groundbreaking addition to the game is integral to the theme of unconditional love in “Fable 2.” The canine companion will act as friend, compass and protector. Players merely feed their pooch and it will love unconditionally, creating a bond that sets up emotion-filled journeys throughout this magical world. Set in a mystical and “fabled” universe, players have the ability to control almost every facet of their character’s life and each decision they make will have repercussions on how the story is played out. The game is quite reliant on "true" fables which adds to the whole experience of the game. 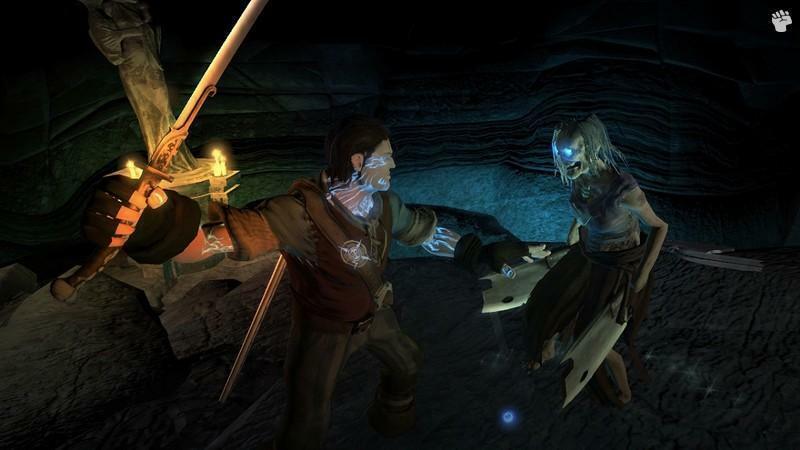 Probably the most impressive addition to the world of Fable is that the gameplay is not just reliant on “fighting”. Rather, the title can be completed in a myriad of ways which not only adds to replayability but also makes the title accessible to a wide variety of gamers from lovers of Sims to lovers of RPG and the like. So what exactly is Fable II? 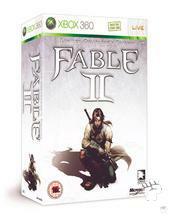 Fable II is a combination of a variety of different genres from role-playing, strategy and adventure. The title is also reliant on relationships between your character and the world which heavily influences the gaming world. Lovers of “Sim” type games will also be pleased that your character can have a normal life which means, buying a house, getting married and even having children. You can even have a loyal pet and depending on how you treat him or her, it will also influence the outcome of certain events in the title. For instance, if you play the shining knight, you may treat your dog as a loyal and loveable companion who will protect you in fights, however if you play the malicious and dark thief who beats their dog, your pet will act entirely differently. Even if you start a family, you can treat them in a variety of different ways and should your character have a psychotic embolism of MDK (Murder Death Kill), this will create ripples throughout your entire life. These are just some of the basic aspects available to your character but from what you can see, the choices are almost limitless. 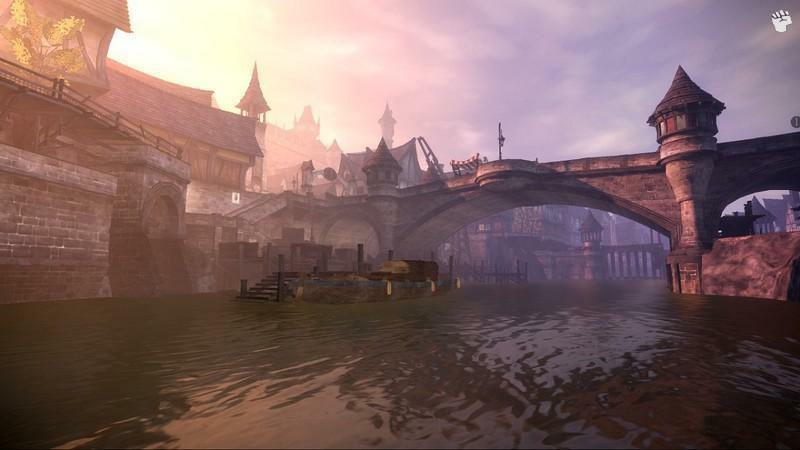 With that said, Fable II still contains a wonderful story which is effected by choices, however when you are having some down time and doing your own thing, you can always jump back on one of the many story paths. This is done through the bread crumb trail which shows you which way you need to go. For those more professional gamers, it can also be turned off. The title does feature a healthy dose of quests and side plots which are merged brilliantly with the gaming environment as your character ages with the story progression. You initially start the game as a child and make your way to adulthood. The only downside to some of the quests is that sometimes you need to backtrack to other parts of the game but as this title is as close as one could be part of a real fairy tale, it’s a small price to pay. Besides you can always find things to do along the way which you may have missed. The moralistic algorithm of the game is amazing and although you are generally given two choices, good or evil, you can always mix them up. For instance, you may be the best friend to your dog but you have dislike to chickens and try to kick them each time you see one. Depending on which path you choose, this will also effect how your character will look as per Fable and is deliciously satisfying. Combat in Fable II is not like your traditional RPG titles, rather, the fighting has been simplified and should your character fall in the midst of battle, you only lose some experience points and you are almost directly back where you started. I must admit that I was a little shocked at this tactic, however through hours and hours of playing, the idea that combat is not the central aspect of the title is quite refreshing and allows you to concentrate on other parts of the game. Of course, for the more professional gamer which I consider myself to be, the combat also allows you to create a variety of different maneuvers as you fight your way through at times an almost unlimited hoard of opponents. Whether you are reliant on melee attacks or using magic, the title is quite balanced and does allow for some extremely varied and challenging ways to defeat your foes. The varied foes that you encounter are brilliant in Fable with an extreme amount of variety as you challenge Trolls, the Undead and of course man himself. Nothing is more satisfying than going one to one against a troll with your sword and then pulling out your rifle to finish him off in almost an Indiana Jones style of fashion. As with the varied sandbox world, this also lends itself to combat as there are a plethora of ways of finishing off your enemies. Strategy is the key word when it comes to combat. In conclusion Fable II is a brilliant game that I cannot fault and truly sets a new benchmark for sandbox games and gives the player a true sense of ownership over the character and how you complete the game. Best of all, the game is still open for a variety of different ways to complete the game so warn your friends and family that you may be going away on a holiday to the world of Fable II, absolutely brilliant!